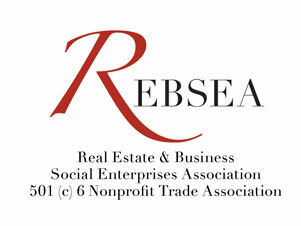 Many REBSEA Founders and Members are veterans, and many other members actively support Nonprofit Organizations that work with Veterans. In a recent blog we shared some of the outrage our members felt toward the Veterans Administration for the problems at VA Hospitals and Clinics. Our Veterans need help, and we expect the REBSEA model will enable worthy Nonprofit Organizations serving the Veteran Community to receive the funding so desperately needed to for fill their mandate. There are many national organizations involved with assisting veterans, but we will profile several REBSEA members and the local veteran Nonprofit organization they are working with in their communities. Miguel Gonzalez is a REBSEA Founder, and works with Homes for our Troops. Kristin Triolo is a REBSEA Charter Member who is involved with a food program that is assists Veterans in the local area by providing food to those who need it. Collier County Honor Flight’s mission is to transport Naples and Marco Island area Veterans to Washington, D.C. to visit those memorials dedicated to honor their service and sacrifices.